Interactive spiritual discussions are a fun way to share insights and experiences in the company of like-hearted individuals. In a relaxed and comfortable environment, you can explore the spiritual wisdom already within you, ask questions, and learn a technique to enhance your inner spiritual connection. You are welcome to attend one, some, or all sessions of any discussion series. These discussions are often offered on spiritual topics such as dreams, past lives, and conquering fear, as well as the open-ended question, Have You Had a Spiritual Experience? You may also explore spiritual topics with other participants in a roundtable forum, a small group discussion led by an ECK Spiritual Aide (ESA), a specially trained member of the ECK Clergy. The topic is probed deeply to achieve insights into the subtle workings of Spirit. The discussion lasts one hour. If you are interested in attending a scheduled spiritual discussion listed below, view our events calendar for the specific date to see full location details. Spiritual laws govern our inner and outer universes. You can develop a greater understanding of these laws, which can then make your own life easier. 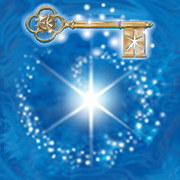 Explore special keys to awaken the spiritual senses and move beyond karma and reincarnation to know ourselves as Soul. You can try a spiritual technique to help you allow more divine love to enter your heart and bring more insight into your life. Our open discussion format offers the opportunity to explore ideas, share your experiences, ask questions, and hear from others. All are welcome—please join us. These free discussions are held on the 1st Friday of every month at the same location and time. Check back for future updates on new topics every quarter. Curious about your dreams? Dreams may let us glimpse the future, give suggestions for healing, share insights into our relationships, and much more. Expanding our understanding of our dream worlds can be a spiritual tool to help us each live a more harmonious life. Learn about different types of dreams and tips for recalling and interpreting them in this free, interactive discussion. Explore ideas, ask questions, and share experiences. This free interactive discussion is open to all interested people. Attendees will receive a gift copy of the book, “ECK Wisdom on Dreams,” by Harold Klemp, the Spiritual Leader of Eckankar. These free discussions are held on the 2nd Sunday of every month at the same location and time. Check back for future updates on new topics every quarter. These free discussions are held on the 3rd Friday of every month through 5/17/19. On the 6/21/19—the 3rd Friday in June—a new 3-part discussion series starts on Animals are Soul, Too!. Check back for future updates on new topics every quarter. Have you ever had the feeling that you have lived before, or that you’ve always known someone you just met? Are you attracted to a particular culture, place, country, or time in history without knowing why? Many people recognize these experiences as examples of the influence of past lives. Learn about the purpose of reincarnation, recognizing previous lifetimes, and the impact of karmic patterns on daily life. This free interactive discussion is open to all. Attendees will receive a gift copy of the book, “ECK Wisdom on Karma and Reincarnation,” by Harold Klemp, the Spiritual Leader of Eckankar. If you’ve ever had a pet or been around animals, you may already know that they have a great capacity for love. In sometimes surprising ways, animals teach, heal, and open our hearts to a deeper understanding of life and divine love. Join us outdoors in lovely Mt. Laurel Park Pavilion for an hour exploration of our spiritual connection to animals, followed by refreshments and fellowship. Can animals experience divine love? Do animals go to heaven when they die? People who love their pets may know the answers to these questions. Please join us to enjoy incredible stories about the spiritual awareness of animals, what they have to teach us, and how they too are carriers of divine love. This 3-part discussion series is based on the book, Animals are Soul, Too! by Harold Klemp, the Spiritual Leader of Eckankar. Each monthly discussion follows the same informal format, which welcomes questions and sharing. You may attend any or all sessions, and it is not necessary to have the book. We look forward to hearing your own stories of love, companionship, and spiritual gifts from our animal friends. These free discussions are held on the 3rd Friday of every month. Check back for future updates on new topics every quarter. 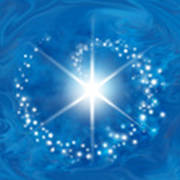 This free class invites you to explore the eternal nature of you! Get illuminating answers to timeless questions about heaven, near-death experiences, reincarnation, and the afterlife. The discussion will offer new perspectives on how to discover you are a unique, eternal Soul; know that love is stronger than fear and even death; meet with departed loved ones, people or pets; and deal with grief. This free interactive discussion is open to all. Attendees will receive a gift copy of the book “ECK Wisdom on Life After Death,” by Harold Klemp, the Spiritual Leader of Eckankar. All are welcome to attend this small circle discussion led by an ECK Spiritual Aide, a specially trained member of the ECK clergy. Please join us after the Roundtable for a delicious potluck and fellowship gathering. The Roundtable ends at noon and the luncheon begins shortly afterwards. Please RSVP to the facilitator if you plan on attending.